The importance of sports and games in school encompasses more than just the benefit of physical activity. Increase in self esteem and mental alertness make school sports and games necessary for every school age child. Students of SVIS are trained and coached in specialized sports like Football, Basket Ball. 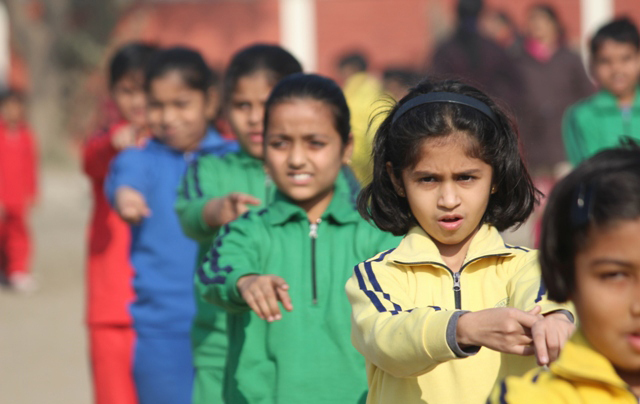 Students also engage in other outdoor games like Volley Ball, Kho Kho, Badminton, Roller Skates, Races, etc. Various achievements in various Inter School, Infra School, Zonal and National competition speax volume about the sporting excellence of the school. The school houses 2 spacious play games, basket ball and badminton coach, table tennis rooms, yoga and gymnasium to train and educate students in a sport of their choice. Special cleaner are also arranged for equipping students in self-defense through our martial arts cloven. 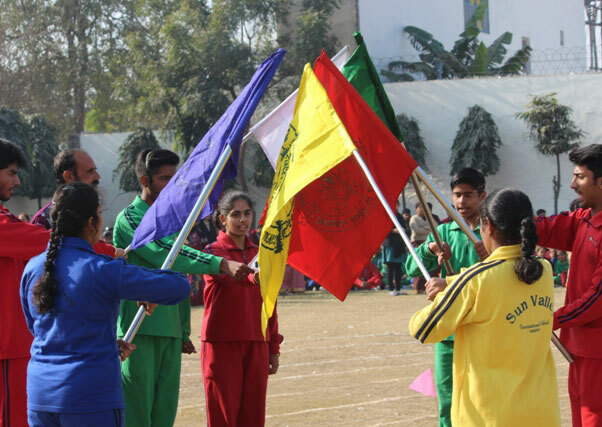 Physical education and competitive sports are important facets of School life and the aim is to develop every child to the whole sum with a healthy body, sharp intellect and high moral values and to fulfill this Sun Valley International School can boast of a large number of Trophies, & medals won by the students at various Inter State/ Inter School Competitions. They have excelled in all fields including Karate,Skating, and various other activities. The School provides the opportunities to excel due to playfield for sports like. Skating being persuaded by the students . Taekwando and Skating classes by renowned coaches. The School also promotes Yoga to enable students learn how to deal with stress, lack of concentration as Sun Valley International School firmly believes in the saying - A healthy mind in a Healthy body.